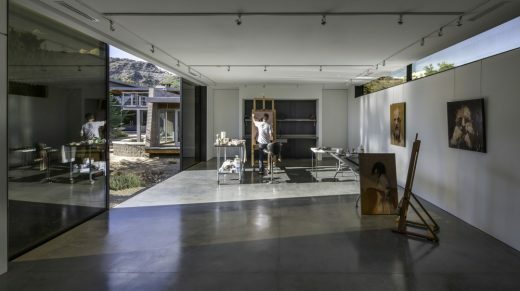 The Little Art Studio is a 1400SF addition to an existing contemporary stucco and glass residence. 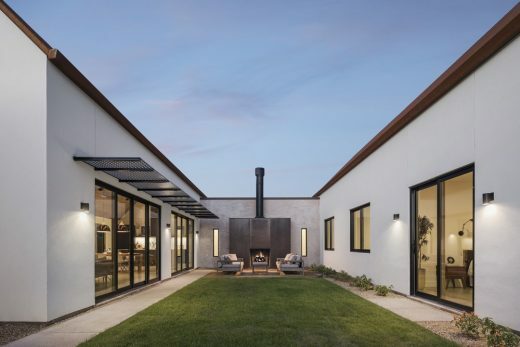 The addition of this project to the site provided a backdrop and bookend to an existing desert courtyard and a gathering area surrounding a fire pit. 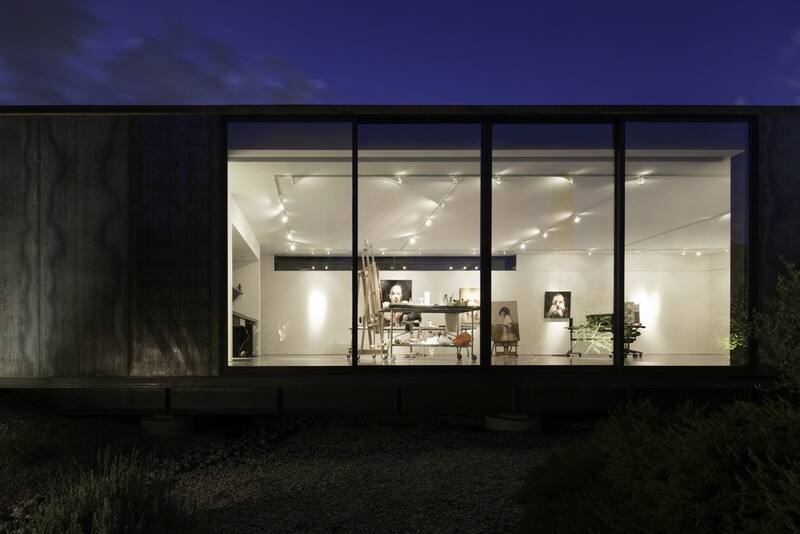 In order to distinguish the studio from the existing residence, the design allowed the studio to establish its own identity. 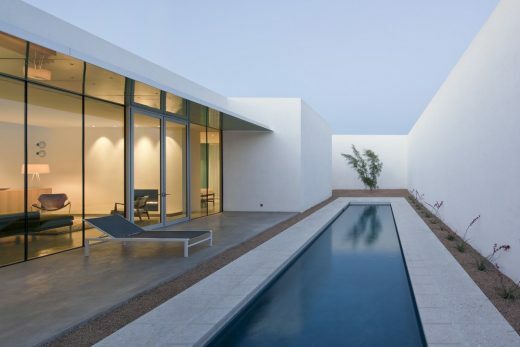 The manner in which the addition meets the ground plane was executed in a way that minimizes the disturbance to the existing desert landscape. The steel beam floor structure and composite concrete deck, is supported by six 36” diameter concrete caissons allowing the studio to “float” over an existing wash by touching the ground in only these six locations. 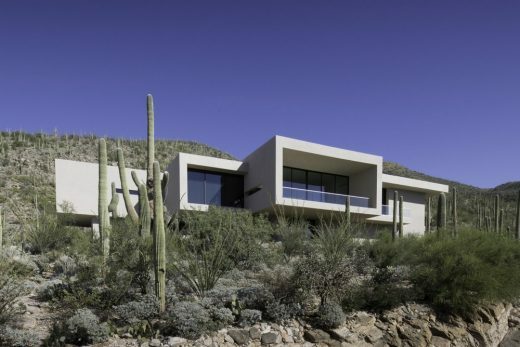 By spanning over the wash, the design further distinguishes this new addition in contrast to the conventional slab on grade construction of the existing main residence. The cladding of the studio is largely comprised of standard 10 gage 4’ X 12’ tall A606 weathering steel panels. Using the standard module for the steel panels allowed for minimal preparation and fabrication time. High thermal performing reflective insulated glazing is used at all glazing locations for the project. The insulated glazing is configured with the reflective surface on surface 1 which allows for maximum heat rejection while offering the most reflection. 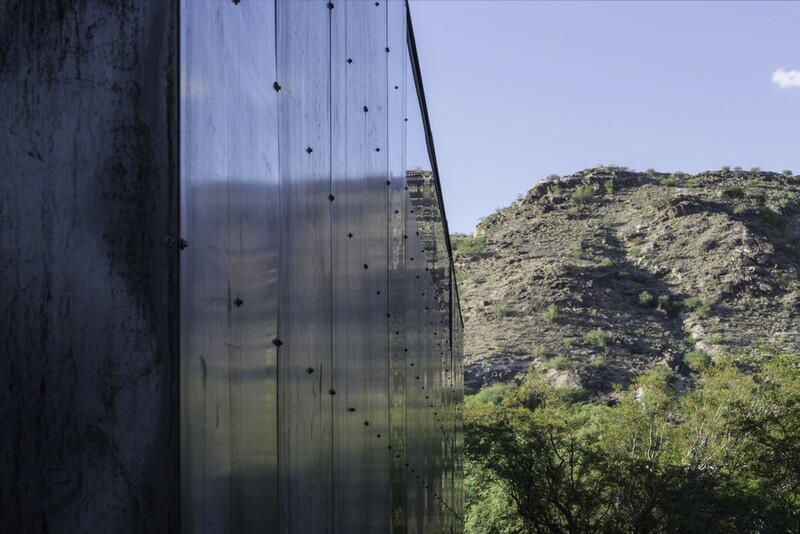 The combination of these two materials for the cladding is intended to complement, absorb and reflect the existing residence’s landscape. 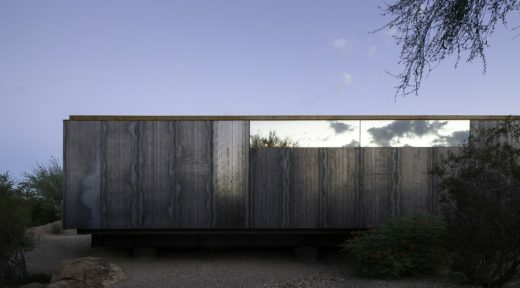 Furthermore, the material palette distinguishes the addition from the existing material palette. The interior space is configured as an open plan to allow the freedom of the studio to be used as a working artist’s studio or gallery space. 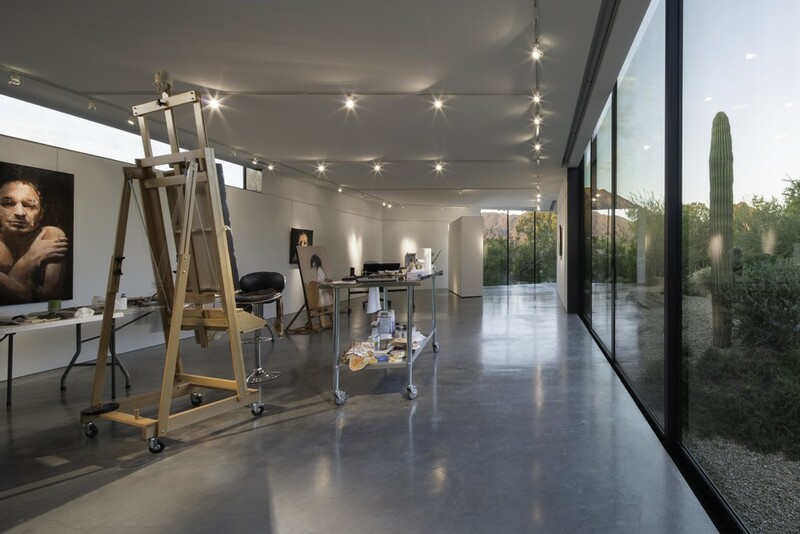 Three large movable partitions can be configured in any manner to allow for spatial diversity and increased surface area for hanging the artist’s work. 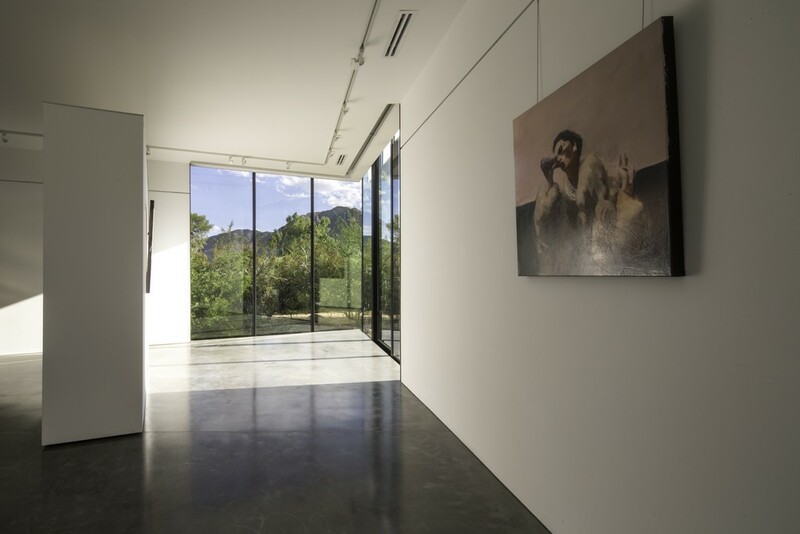 An integrated artwork hanging system is embedded and detailed with the drywall to establish a datum in the space for the constant hanging of artwork for review and display. 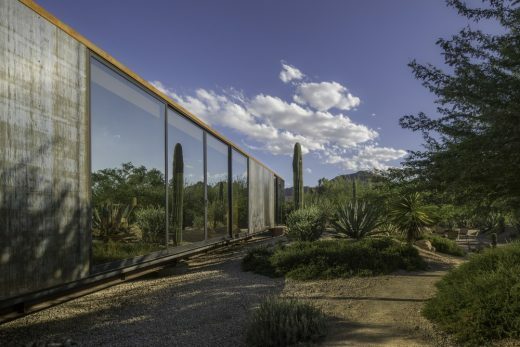 Bi-parting sliding glass doors are located directly over the wash in order to celebrate a specific moment in the desert landscape. 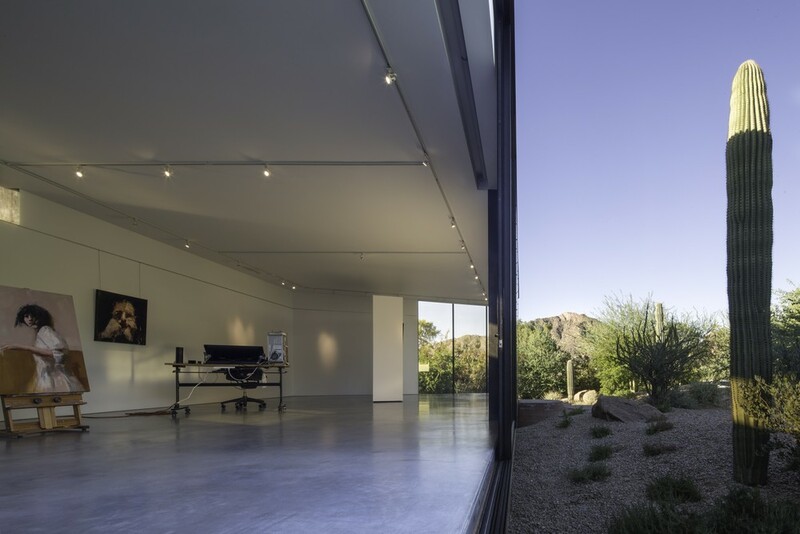 The configuration of the windows allows views of the existing courtyard and Camelback Mountain. 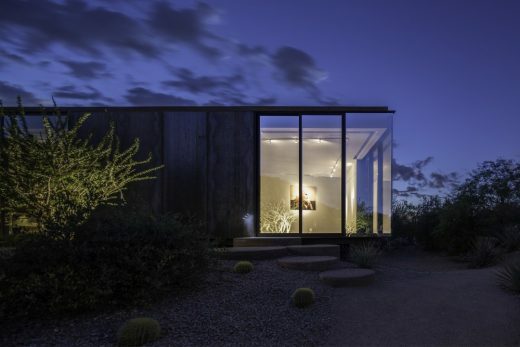 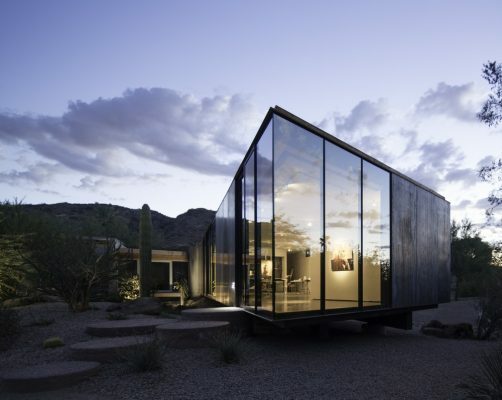 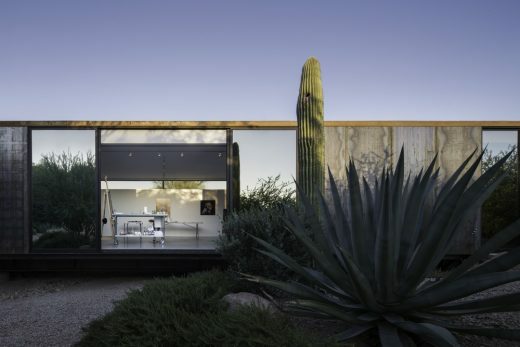 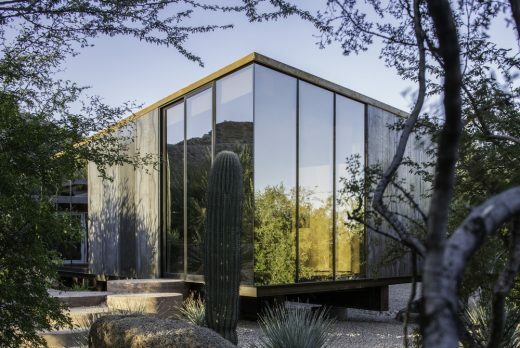 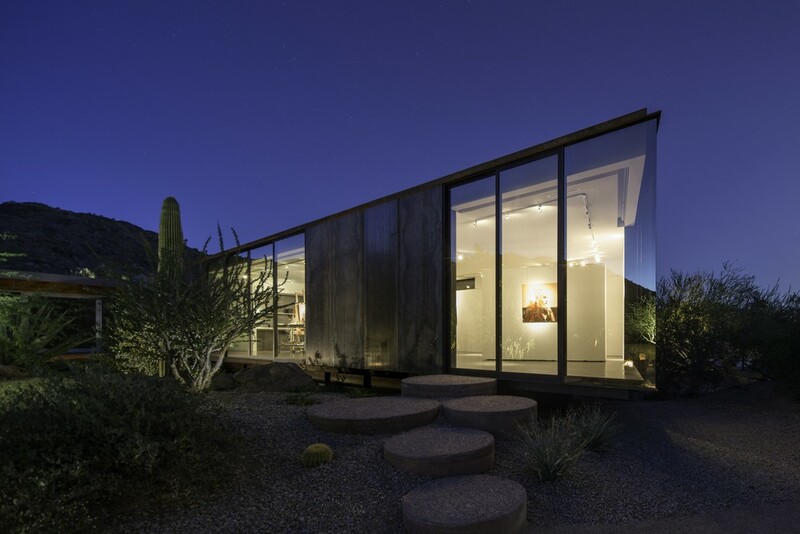 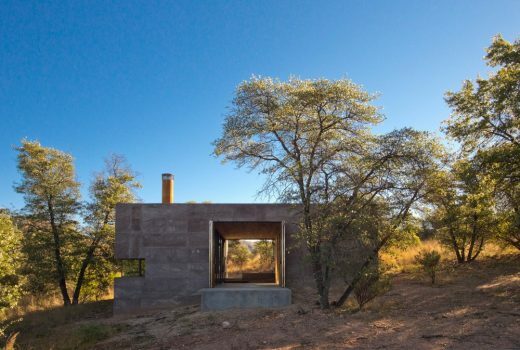 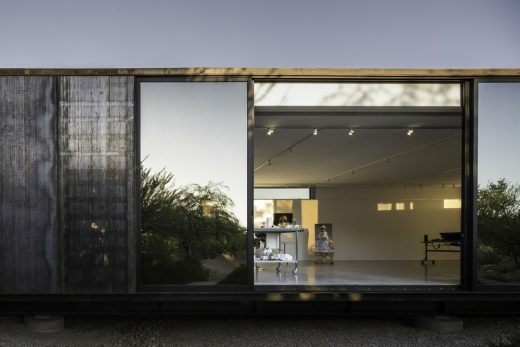 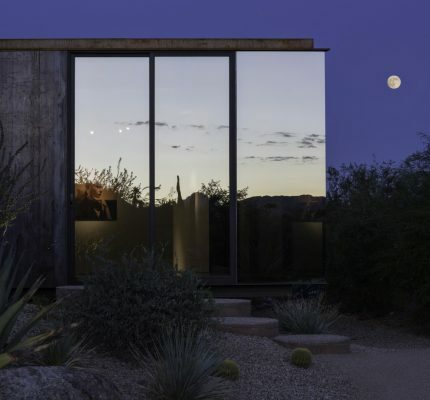 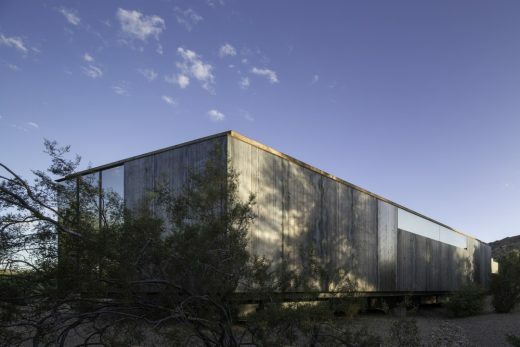 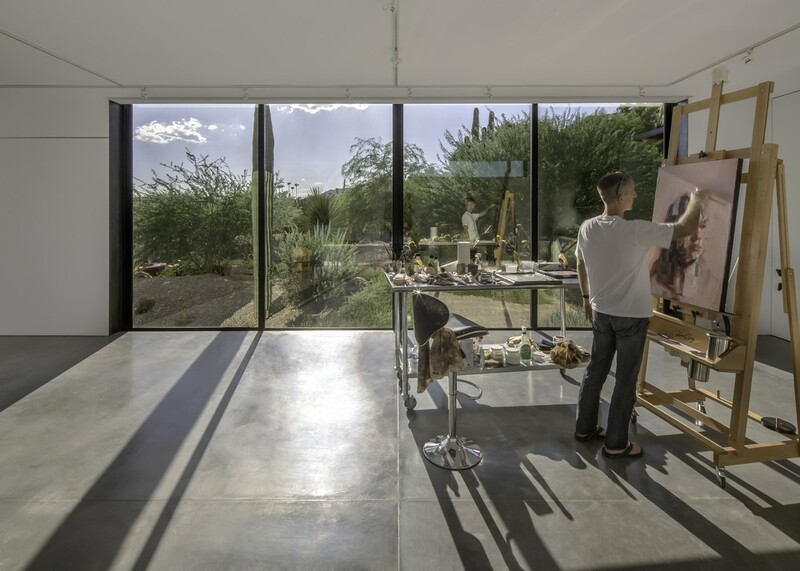 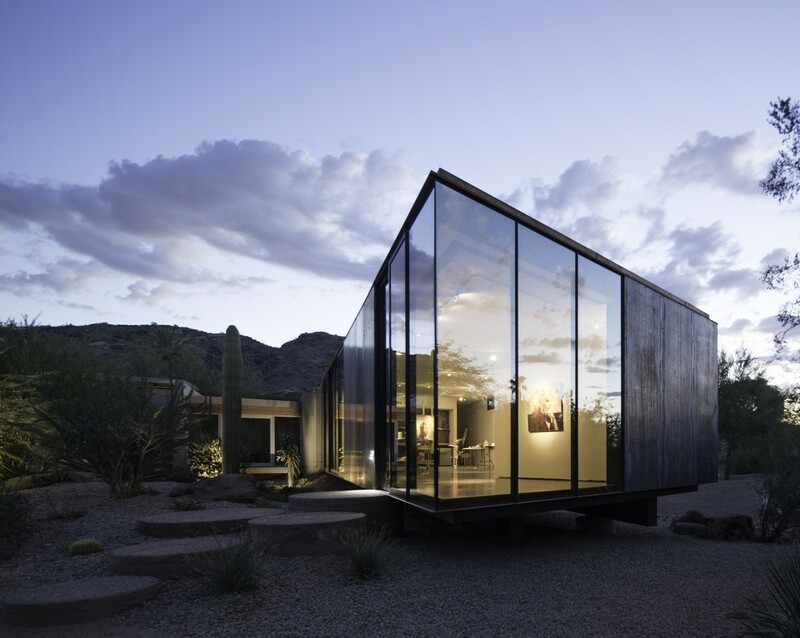 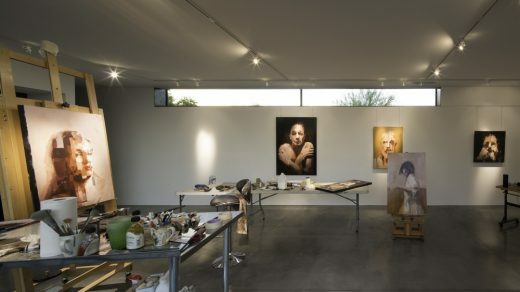 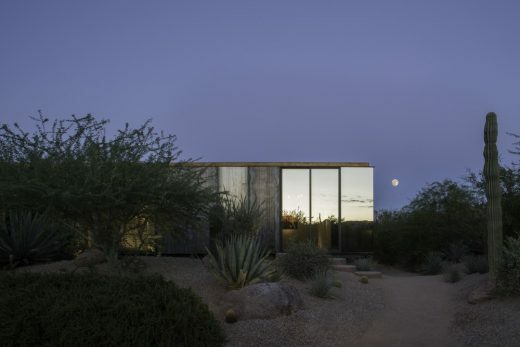 The Little Art Studio engages the circumstances of the site by deliberately establishing its own language that is at once a clear departure from the language of the existing main residence while maintaining respect for the site’s desert landscape.